Utility doesn’t have to mean boring. So, stay on style with Kane. It’s made with function in mind and looks great in use. Kane’s powder coated metal frame has an adjustable working height and flat straight feet to keep it sturdy. 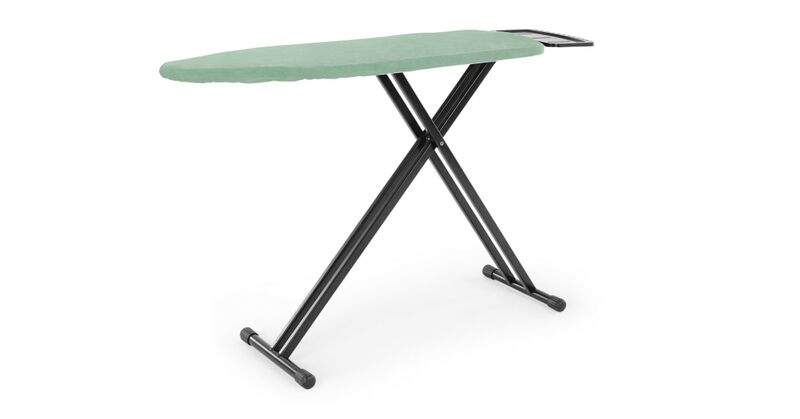 And with a felt viscose underlay, this ironing board makes steaming out wrinkles easy. Its black and mint contrast isn’t shabby either. The function doesn’t end here. Part of the Kane collection, you’ll also find a storage rack in this range. We’ve redesigned doing chores.